The BLUE_BOOST project, in which the Thessaloniki Chamber of Commerce and Industry participates as partner, aims at boosting the innovation potential of both traditional and emerging Blue Growth sectors clusters in the Adriatic-Ionian region. Within the project, the partners’ networks from seven ADRION maritime territories will focus on transnational and cross-sectoral cooperation and innovation of maritime clusters through knowledge sharing and community based approach. BLUE_BOOST will encompass Blue labs, workshops and hackathons and provide 315.000 € for at least 35 small-scale projects to be funded under the project’s Blue Innovation Voucher Scheme, in order to stimulate and guide innovation capacities of MSMEs/start-ups of the traditional Blue Growth sectors (fisheries and ship-building) and emerging ones (Blue technologies including aquaculture, green shipbuilding, robotics, new materials, etc.) in the Adriatic-Ionian region. 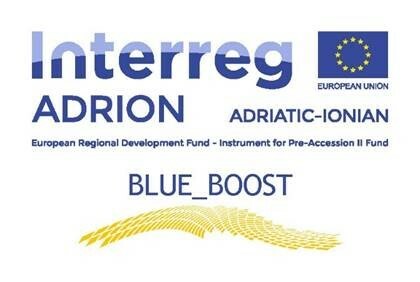 As a final objective, BLUE_BOOST will endorse a Transnational Innovation Networking Strategy and Joint Action Plan for the long-term capitalization of project’s findings for maritime clusters in the involved seven Adriatic-Ionian territories and beyond. The project is funded under the European Programme Interreg ADRION and its implementation period goes from 1 January 2018 until 31 October 2019. Its Kick Off and first Steering Committee meeting is scheduled in Zadar on 23-24 April 2018.